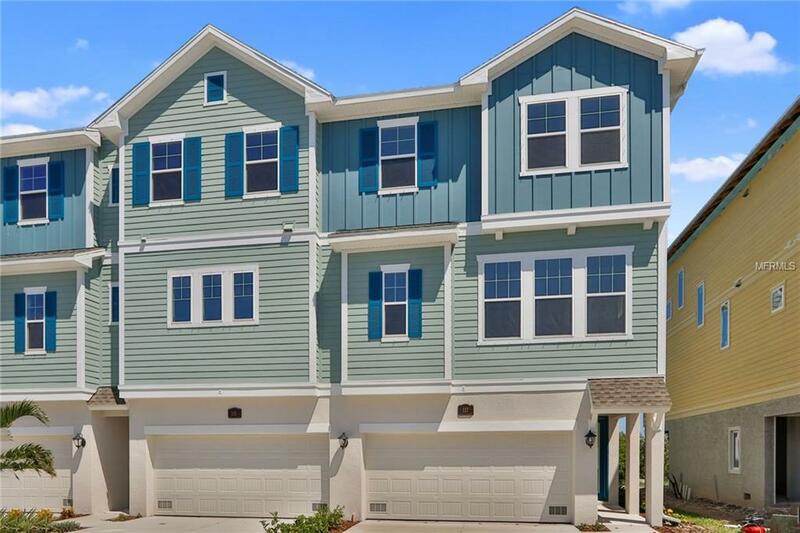 At Anclote River Crossing, youll love the fabulous river views and appreciate the upscale, maintenance free lifestyle. Enjoy all that Historic Tarpon Springs has to offer. Its just a five minute walk to the famous Sponge Docks and two minutes to the Pinellas Trail.The Tarpon Springs Dog Park is just around the corner along with the Splash Park and kayak launch.Your large covered lanai overlooks the back yard and your very own dock!It's ideal for Jet Skis,paddle boards,canoes and other small water craft. The main level of this home features a soaring two-story family room complete with a wall of windows to maximize your beautiful water view. The cook in the family will love the gourmet kitchen with center island, 5-burner range & stainless designer hood, stainless wall oven and built-in microwave,luxurious Crema Caramel granite tops and awesome custom-designed backsplash.The spacious owners suite is conveniently located on the main level and boasts a master bath with upgraded shower head,wide spread faucets,soaking tub,granite vanity top, and large walk-in closet.No need for visitors to go up stairs, there's a powder room on the main floor.Upstairs are two generous guest bedrooms,full guest bath with tub/shower combo,and a good size loft. Wait till you see the ground floor storage area and amazing 3-car garage!Of course your new home includes a best in the industry 1-2-10 warranty.Start your new carefree,waterfront lifestyle today!